Mozilla Firefox is one the most popular web browsers today. Everyone tries to find the vulnerabilities of popular products, and Firefox is no exception to it. So it is the duty of a computer user to aware the known bugs and vulnerabilities reported about Mozilla browser and make sure the latest version of it is running on his computer. Firefox responds fast to the reported security vulnerabilities and updates patches for the bugs found. If you have enabled it to look for the updates automatically, you do not need to worry much since your browser will get the patches for the bugs automatically. If you have disabled automatic Firefox update, you must update the browser manually. They publish the reported vulnerabilities of the Firefox browser for the awareness of users. You can get the list of published vulnerabilities from the link below. Mozilla Foundation Security Advisories publish an achieve of known bugs and security flaws reported in the link below. They maintain the report in a way that it shows the latest vulnerability reported at the top of the list with tags critical, high, moderate and low. There is nothing to worry much about protecting Mozilla browser installed on your computer from known security bugs. All you have to do is to ensure version you are using is the latest. To manually update the Firefox browser to the latest version to avoid security flaws follow the steps below. Wait till the completion of the download. After installing the downloaded updates, restart it. 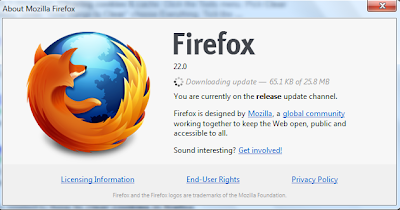 By the above steps, you can manually update Firefox browser installed on your computer to the latest released version. How to View Saved Hotstar Video Files? So we can protect our computer from the known security flaws of Mozilla browser. Do you ever try to check the stored details on it? If not the following link tells how to view and fetch the stored information from it.